Foreign nationals that have been arrested or convicted of driving under the influence of alcohol (DUI) in the State of Idaho may be considered inadmissible to Canada due to criminality and turned away by security at the border. If you have a DWI Idaho on your criminal record that is less than ten years old, you may require Canadian Criminal Rehabilitation or a Canada Temporary Resident Permit in order to travel north of the border. Even if your drunk driving charge was reduced to wet reckless driving, you could still be considered ineligible for entrance to Canada. Have an Idaho DUI and interested in entry to Canada? Contact us now for a free evaluation. Any person found to have operated a motor vehicle in the State of Idaho with a Blood Alcohol Concentration (BAC) of 0.08% or higher may be charged with drinking and driving. A 1st offense DUI in Idaho can result in a fine of up to $1000, a 6-month jail sentence, and a license suspension of 90 to 180 days. A 2nd offense DUI Idaho is punishable by ten days to one year in prison, a fine as large as $2000, installation of an ignition interlock device (IID), and a one year license revocation. 3rd offense DUIs are considered a Class C felony in Idaho if the previous two offenses were committed in the past ten years, and can result in up to five years confinement as well as a five years driving suspension. Drugged driving is illegal in Idaho, and implied consent laws make it a misdemeanor offense to refuse an alcohol or controlled substance test by a law enforcement officer that has probable cause to think a person may be intoxicated by a substance. Idaho DUI laws include a no-tolerance policy for people under 21, enabling them to be arrested for driving with any measurable amount of alcohol in their body above .02 percent. Commercial drivers can trigger a driving while drunk charge with a BAC of 0.04%, which is fairly standard across the country. Whether you refused a chemical test such as a breathalyzer or were found at the scene of an accident visibly intoxicated, any alcohol related driving offense can cause you to be denied entry at the Canadian border. Canada's immigration officials have full access to FBI criminal databases and can easily see if an American has a DUI from the Boise Police or even from drunk driving on a tractor in the Idaho countryside. 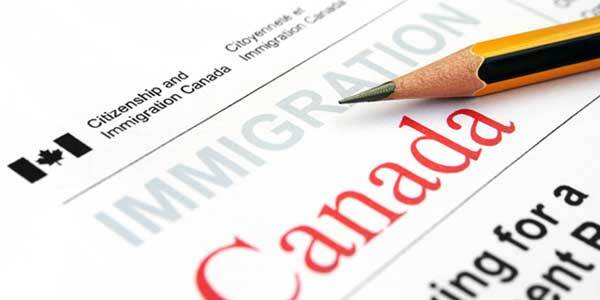 Being a resident of a State that borders Canada does not make crossing the border with a criminal record any easier. The border requirements for visiting Canada from USA are the same for all Americans, and people from Idaho must meet them in order to be granted entrance just like all other US citizens.